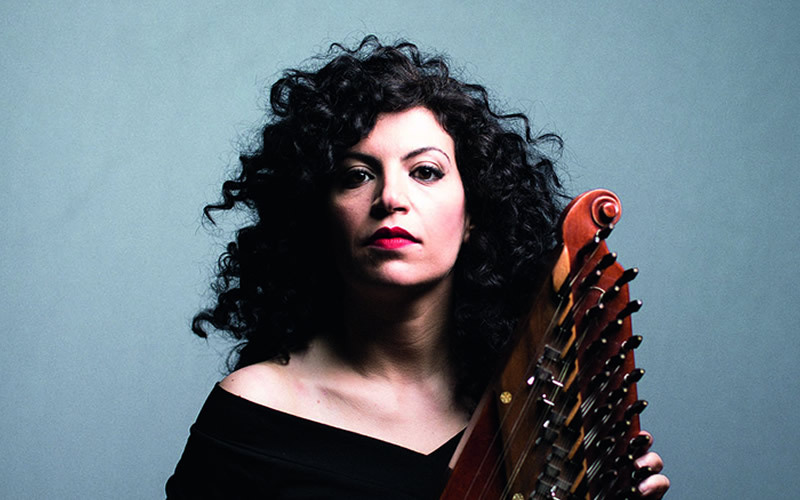 Born in Damascus, Maya Youssef is a virtuoso on the magnificent qanun, the 78-string zither at the heart of Arabic music. Accompanied by percussion and cello, she performs music lamenting the war in her homeland and celebrating its rich cultural and architectural heritage. Following the release of her highly-praised debut album Syrian Dreams last November, she performs her own compositions, tunes from the Syrian folk tradition and the wider Arabic repertoire in what the Guardian describes as: ‘an often exquisite, emotional set that constantly changes mood, from sorrow to hope’. Accompanied by Elizabeth Nott on percussion and Barney Morse-Brown on cello.